It figures that someone who had his first golf lesson with a pro named Nicklaus might go on to greater heights. Even though it’s not that Nicklaus (Jack), Cameron McCormick holds the distinction as the PGA Teacher of the Year for 2015 as announced this summer by the PGA of America. Best known as Jordan Spieth’s longtime teacher, McCormick is a PGA Professional and Director of Instruction at Brook Hollow Golf Club in Dallas. 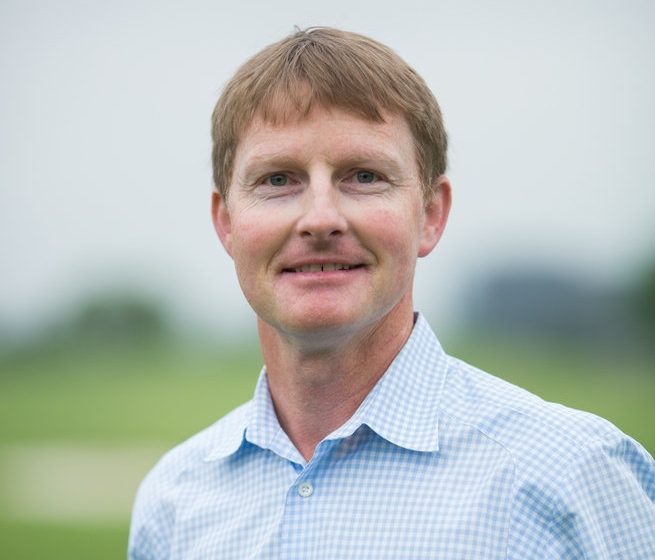 Next year, he’ll be the Director of Instruction at Trinity Forest GC, a new Coore-Crenshaw design in Dallas. A native of Australia, McCormick’s golf career in the U.S. began in 2000 at the Lakes of Castle Hills GC outside Dallas followed by successful teaching stints as an Assistant PGA pro at Dallas CC and as Director of Instruction at Brook Hollow GC, also in Dallas. In this time, he built up a client base of more than 350 students, including a number of top-notch junior, college, amateur and professional players, while averaging 1800 hours of instruction annually. Six of the current top 75 ranked juniors in the United States work with McCormick, including 2015 U.S. Junior Amateur Champion Philip Barbaree. The PGA of America recognized McCormick for his various teaching initiatives at Brook Hollow. McCormick runs a junior development program “that cultivates skill development from basic-to-advanced levels with a long-term outlook toward fostering the growth of the game’s next generation of competitive elite.” Also, McCormick co-founded Birdies for Kids, a program that promotes golf to a diverse group of youth in North Texas. Since its founding in 2004, Birdies for Kids has raised $1.42 million for children charities with McCormick serving as the leading fundraiser in 10 of the 11 years. McCormick, 42, has been married 15 years to his wife Somer whom he met at Texas Tech University. They have two children, a 7-year-old girl named Bella and a 5-year-old boy named Callan. Thoughtful and articulate on a wide range of golf topics including learning theory, McCormick was currently reading, at the time of this interview, Getting Unstuck by Tim Butler, a life performance book, and a book about public speaking titled Resonate by Nancy Duarte. The last tome will come in handy as the affable McCormick accepts his award next month at the PGA of America’s 99th PGA Annual Meeting in Palm Beach Gardens, Florida. Previous recipients have included such teachers as Gary Wiren, Jim Flick, Harvey Penick, Martin Hall, Mike Bender, Hank Haney, Kathy Gildersleeve-Jensen and Todd Anderson. McCormick was interviewed by Terry Moore who has written about and interviewed 14 PGA Teachers of the Year. What are some of your memories of your first formal lessons, both receiving and giving? The first lesson I gave was with a group of junior golfers at The Lakes at Castle Hills outside Dallas. I was a helper at the Arnold Palmer Golf Academy located at the club and it was first time I was ever paid for instruction. But my origins of golf instruction go back to my days growing up in Australia. I was only 13 or 14 years old when I received several lessons from a golf professional named Gary Nicklaus. At first, I didn’t take to golf at all. I was more into Australian football and tennis. But my parents wanted me to have a diversity of sports experiences so they arranged some lessons with Gary. For my first golf lesson, I showed up wearing my football uniform with short shorts, long socks and a jersey. Gary reminded me that every sport has its appropriate attire and that next time I should be wearing golf clothes. That was my first mistake and my first lesson. How did you end up in the United States? I graduated from high school in Australia early for my age so I took a year off and decided to travel, as many young people do. I traveled to southern Africa for three months and then came back to Australia where I joined a golf club, still a year away from college education. I immersed myself in the game and also started caddying in select tournaments. I caddied for one player who graduated from Texas Tech University. I made some contacts and ended up 18 months later on a golf scholarship at a community college in Kansas. I was there for two years and then transferred to Texas Tech in 1994. I was on its golf team and graduated in 1997. How and when did you decide to be a golf instructor? It was when I was an Assistant Golf Professional at Dallas Country Club. This was after my time at The Lakes at Castle Hills. A large club with a strong instructional program, Dallas CC is the second oldest golf club west of the Mississippi. I found myself coaching and teaching there and fell in love with it. Candidly, I wasn’t very good at it in the beginning but I learned from my mistakes and kept at it. I gave over 400 hours of lessons in my first 12 months which provided me with a lot of experience. Who have been the major influencers on your career? First, I would say it’s my students who have been the greatest influencers on me. Second, it’s my family and peers. And third, it’s a number of prominent teachers who’ve made a positive impact on me, teachers such as Butch Harmon, Rick Jensen, Randy Smith, Chuck Cook and Paul Schempp. When I was 30 years old, I decided to write a letter to some of the Top 100 teachers in the game asking their permission for me to shadow them for a day and watch them give lessons. Actually, it was my wife’s idea to write such a letter. Over the course of the next 18 months, I visited a number of these top teachers after they kindly agreed to my request. They opened up their world to me and it was an invaluable learning experience. The teachers you mentioned are familiar to me with the exception of Paul Shempp. Who’s he? Dr. Paul Schempp is an authority in the field of expertise and achieving peak performance. Golf Magazine commissioned him when it first set up its Top 100 teachers list. He’s an expert on learning. I reached out to him and I’m indebted to him and his teaching. Okay, about a certain well-known student of yours. In spite of many other accomplished players under your wing, does it ever get tiresome being asked about Jordan Spieth? It never gets tiring talking about Jordan although most of the questions posed to me about him I’ve answered before. But I completely understand the interest and the curiosity. With that in mind, several of my friends are PGA teaching professionals and they’re curious as to your approach with Jordan and his left hand low putting method? How did that develop? Jordan first came to me a few weeks shy of his 13th birthday. He arrived putting conventionally but he was extremely idiosyncratic through the bag, whether it be with a putter or a driver in his hand. He had certain tendencies at address but I wanted to take what he wanted to do and marry that with proper fundamentals. For him, his tendency was addressing the ball with open shoulders which would influence his club face path. It was probably six to eight months into our sessions when Jordan came to me and wanted to show me something on the putting green. Right there, he started putting left hand low and he said, “This is what I feel comfortable doing.” As a result, it squared up his shoulders and put his hand and putter in better positions. But I also requested, as I do with all my students when they adopt a new technique, that Jordan give it sufficient time and repetition to believe in it. I tell my students: let’s not jump on this carousel where you try a new putter or technique every few weeks in search of something. Nice of you to say, Pat. Get your clubs and I’ll meet you at Saskatoon after league play for the longest hole!